How to apply mascara like a professional makeup artist? How to do eye makeup like a professional, is one of the most common requests that I get. Many of you have asked me on Facebook about how to apply mascara like professionals do. Today’s article will try to break it down in easy step by step manner. When applying mascara, turn your head to the side, now look at the mirror with just your eye — leave your head turned to the side. Instead of pulling lashes up, you’re pulling them out into that fan effect. If you want to make eyes appear wider, apply mascara to the bottom lashes but make sure you give lashes a light touch. Keeping this tip in mind is key to great eye makeup. Step 1: Wiggle the wand left to right at the base of lashes. It’s the mascara placed near the roots — not the tips — that gives the illusion of length. Step 3: In this final step, close the eye and place the mascara wand on top of lashes at the base and pull through to remove any clumps. Learn more about how to work with a masara right here. 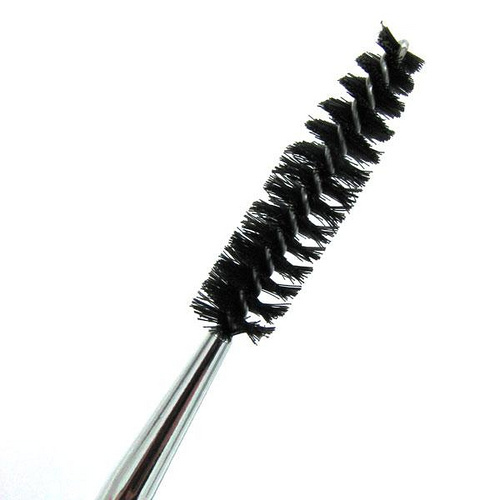 Makeup tip #1: A great way to get rid of clumps is to sweep a clean, fresh mascara wand through lashes when they’re wet. Zig-zagging the wand back and forth during application would also help cut down clumps. Makeup tip #2: Colored mascara can look super-effective if applied with alight hand. 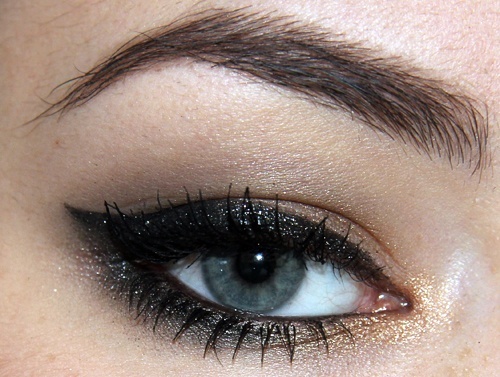 Start by coating your lashes with two coats of black mascara. Once the lashes are dry, slick a light colored mascara – try blue, violet or green – onto the underside of your upper lashes. Each time you blink, your eyelashes will reveal a dash of unexpected color. Makeup tip #3: What it means to ‘apply a second coat’ of mascara is to apply the coats of mascara all at once before the first coat dries. Once the first coat dries, you’ll get clumps if you attempt another swipe at the lashes. Makeup tip #4: Don’t pump the wand in & out of the bottle. This pushes air into the tube which will make the mascara dry out faster causing clumping & flaking. Instead, gently twist the brush in circular motions to pick up the desired amount of product.